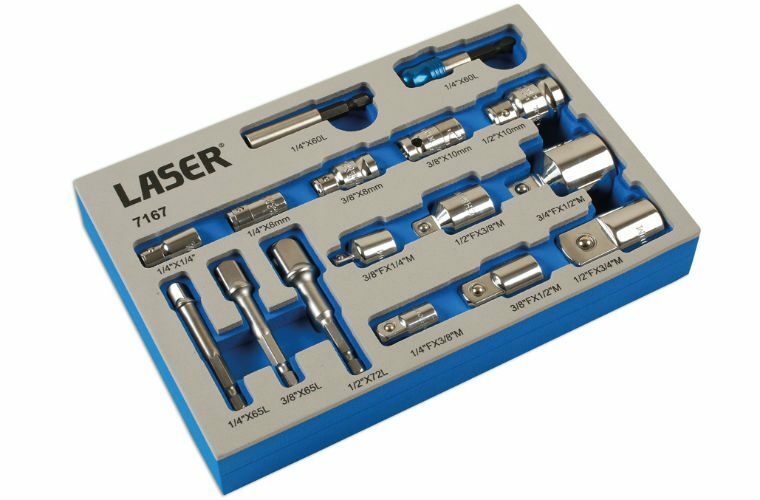 The new socket and bit adaptor set from Laser Tools supplies a comprehensive selection of the most-used adaptors presented in a machine-cut foam tray that fits neatly in the tool tray. Kit contents include six socket adaptors, five bit adaptors with a spring-loaded ball to hold the bits securely, three quick-chuck drill adaptors and two quick-chuck 1/4″ bit holders. Available now from Laser Tools stockists, typically priced at £43.68 + VAT.